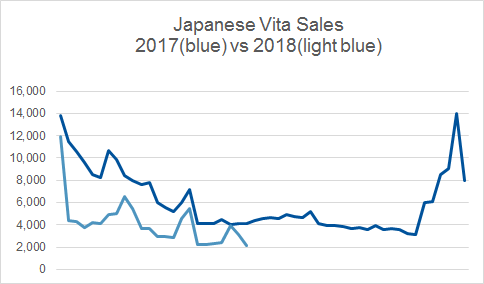 The latest Media Create chart data brings back fond memories of when Minecraft was the only game keeping Vita alive in Japan (selling a million boxed units). This week it hits the Switch, selling 61K in the process at No. 3, behind New Gundam Breaker on PS4 and Mario Tennis Ace at No. 1. No Vita games in the top 20. With Aquatic update being the last for the Vita, looks like lots of Japanese gamers will soon be moving onto the Switch version. On the hardware front, Vita sold just 2,163, a new low. Given the flat-line ahead of the summer, it is unlikely to make any sudden moves north, which leaves only down. Still, there’s plenty of games to come. 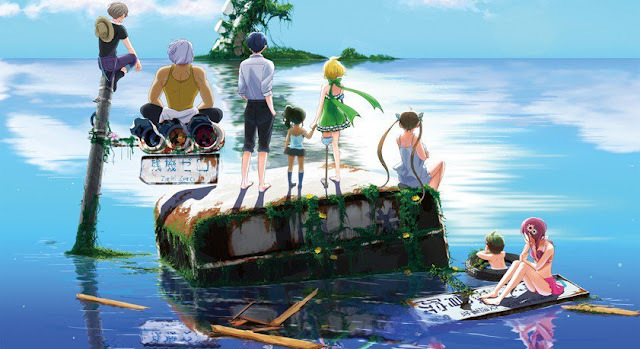 Spike Chunsoft’s soggy DRPG Zanki Zero scored 34/40 in the latest Famitsu reviews with two 9s and two 8s. Visual novel Seven Days: Anata to Sugosu Nanokakan scored two 8s and two 7s for a 30.